Kept training on the lighter side this as I was racing my first 10k of the year and wanted to set a good benchmark. Took Monday and Saturday off as recovery days and kept Tuesday's session short and sweet with 7x 300m intervals with a 2 minute recovery between each. This is a nice session that gets my heart rate up and works well for leg turnover. All other training was done within or below my MAF range. 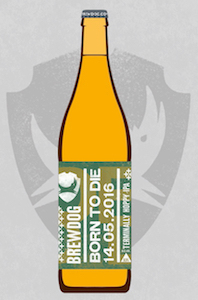 Sunday's Woodley 10k turned out to be a great run, despite drinking two pints of Brewdog Born To Die 14.05.16 beer and a few other weaker beers. Normally about 4 pints isn't a problem the day before a race, but with two pints at 8.5%, I wasn't so sure. I made sure I drank loads of water when I got home on Saturday afternoon and this seems to have ensure all was well on Sunday morning. Sunday turned out to be a lovely day. Very sunny and very warm. I wasn't sure of how quick I'd be able to run so I started with the idea of somewhere between 36:30 and 37:00. I started off well and managed to keep on track for 36:30 for the first 5 or so kilometres and then I started to feel the heat, and I wasn't the only one. It was quite amazing to see the runners ahead of me going backwards faster than me, several of which I ended up passing. I entered the park for the final few hundred metres thinking I'd missed out on getting under 37 minutes, but when I glanced at my watch I saw it could actually be on, so I put my foot down, passed a guy in the final stretch and crossed the line bang on 37:00 on my watch. I was pretty happy with this. 37 minutes for my first 10k of the season is a good sign of things to come and a good indicator of how my training it doing and I think it proves that polarised training, ie running mostly very easy (at MAF for me) with the occasional very hard effort, may actually be working. A couple of hours later, the official results were out and my happiness turned to delight: my chip time was 36:58 and I finished 8th out of 515 finishers, one of my best performances. Not a bad day at the office. Next week I'll be cranking up the mileage in the early parts of the week as I'm off to sunnier climes (going on my holibobs) on Saturday morning and I've no idea how much running, if any, I'll be doing there.